There is something so exciting about the fall season! The leaves being to change, the weather gets a little cooler and I swear everyone is just a little happier. I love driving down the street and seeing pumpkin patch around every corner. I seriously LOVE the holidays and the joy they bring into our home! My babies love to help mom decorate and bake some of our favorite holiday treats! My family and I have some holiday traditions that are super fun. I excited to share them with you all! We love to bake at our house and sugar cookies are always one of our holiday go to’s as well making chili! (I have attached the recipe at the end of the post). I try my best to make the holidays as special and meaningful as I can for my babies. 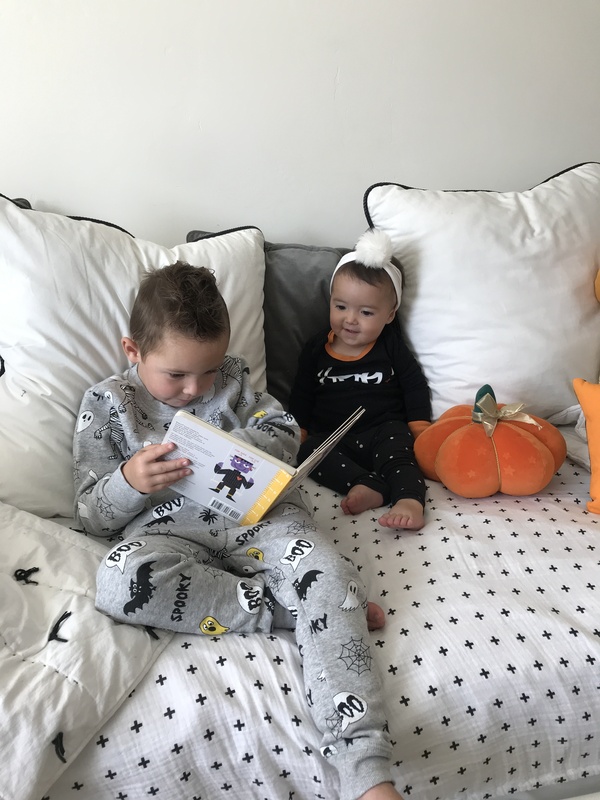 I like to find activities that we can all do as a family! I am still trying to think of a halloween costume for myself, I haven’t had much luck finding on yet! 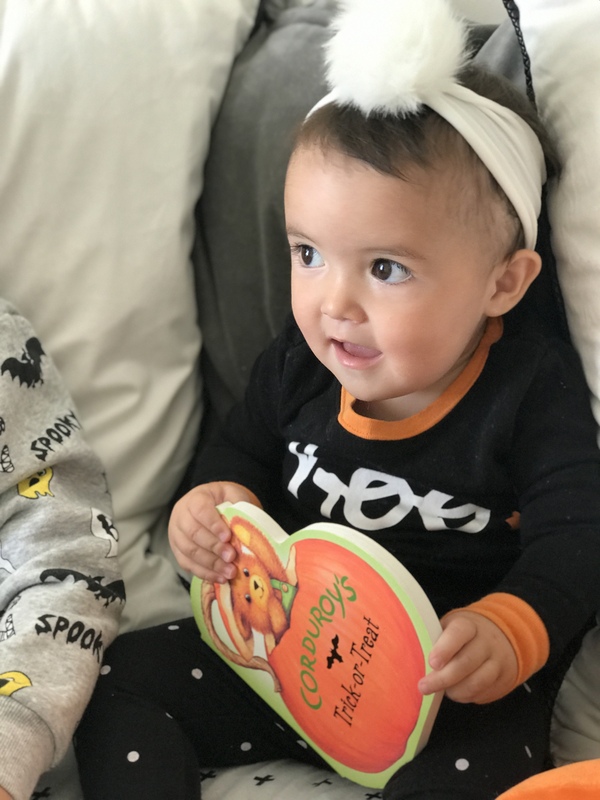 But I did put gather together some super cute and simple halloween sweatshirts and outfits that can totally double as a costume and a regular outfit! 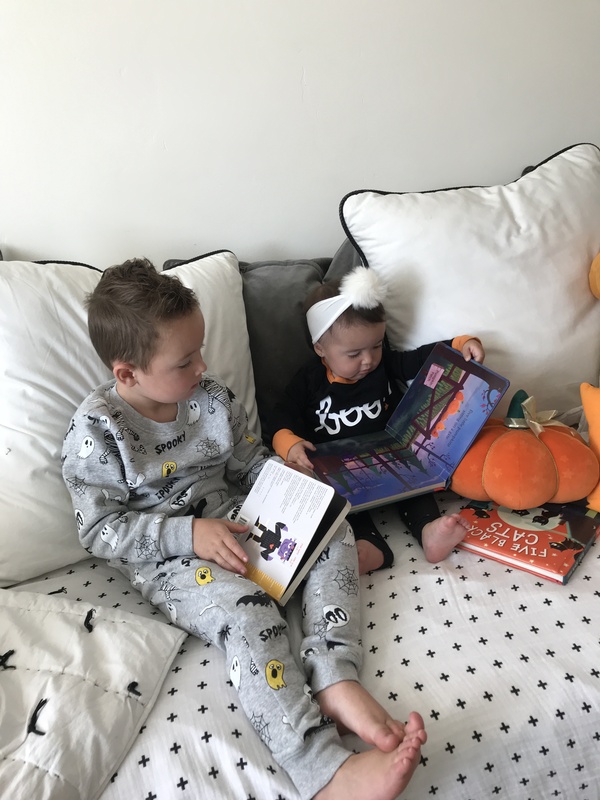 We love to spend time decorating our house and of course Mason and Monroe love to run around in their halloween pjs! It is the only way to keep them out of their costumes! The little wicker basket I have is one of our favorite things. Mason and Roey always know to find the basket when they want tor had their books. 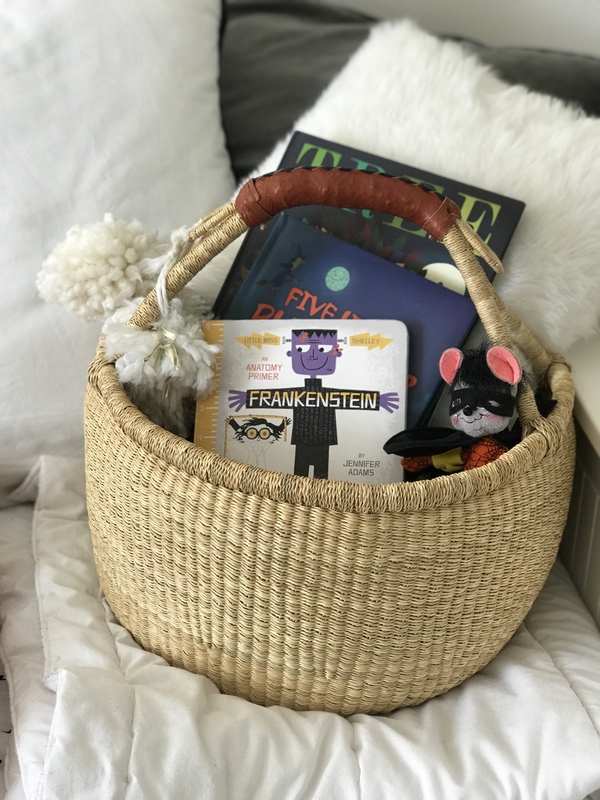 It is a fun tradition we have where we take the time to gather together the books they love and put them all in the basket! 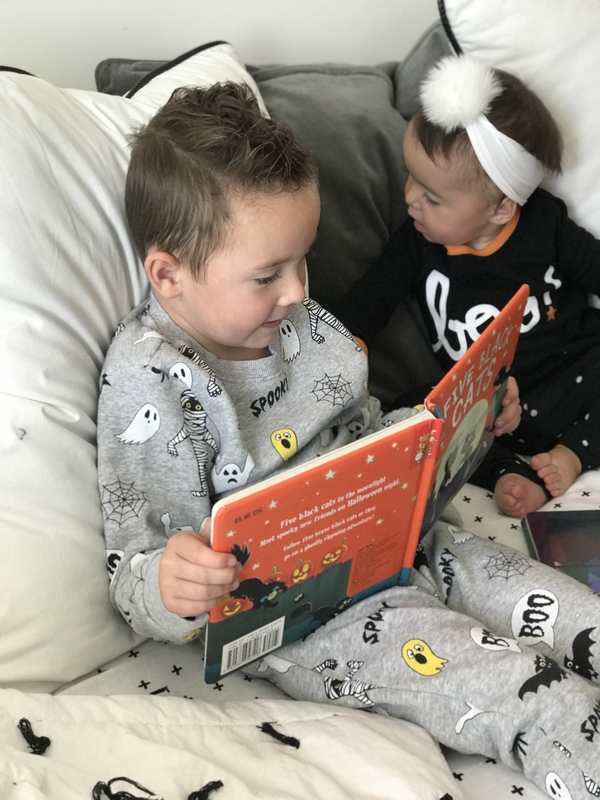 It is a great way to get the babies to read and also to spend time with each other! 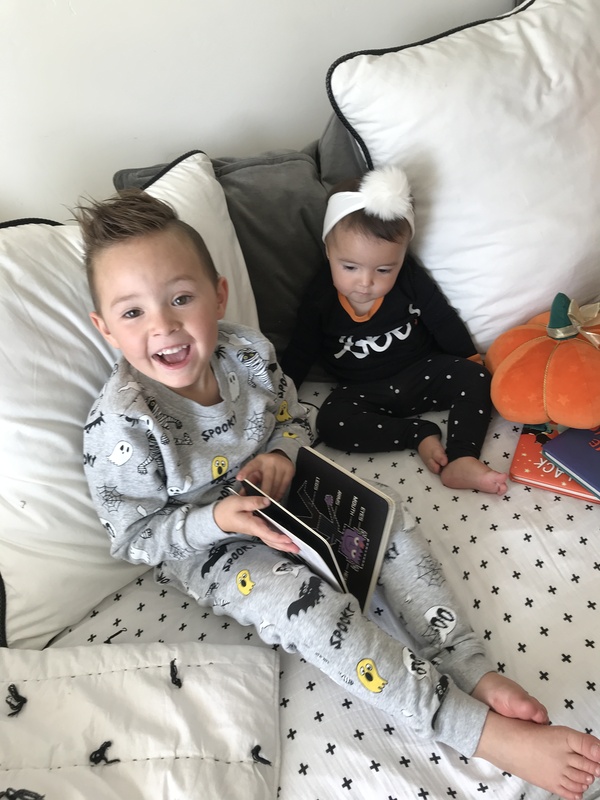 I love being able to have those quiet moments with my babies and watch them giggle and laugh together as they look through the books! Monroe doesn’t quite know what all the words mean yet but all she cares about is being by her brother, all the time!! You can double the recipe! !